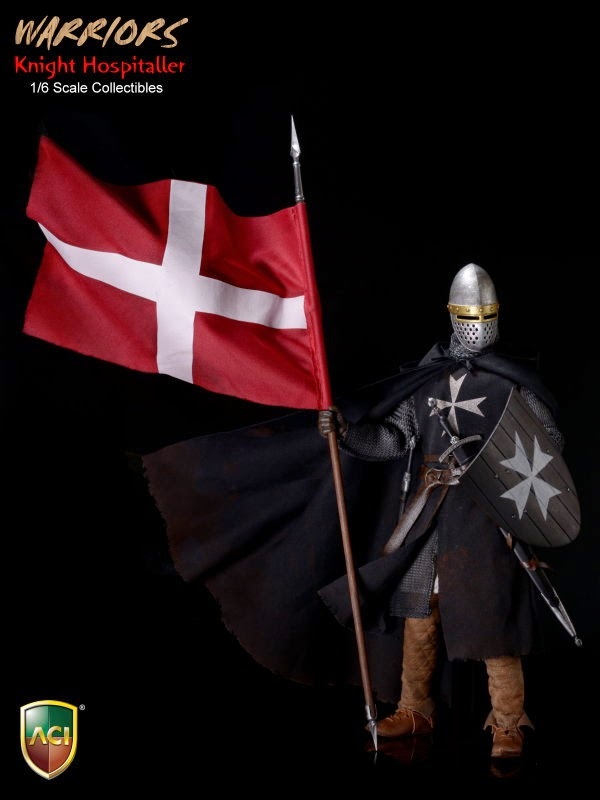 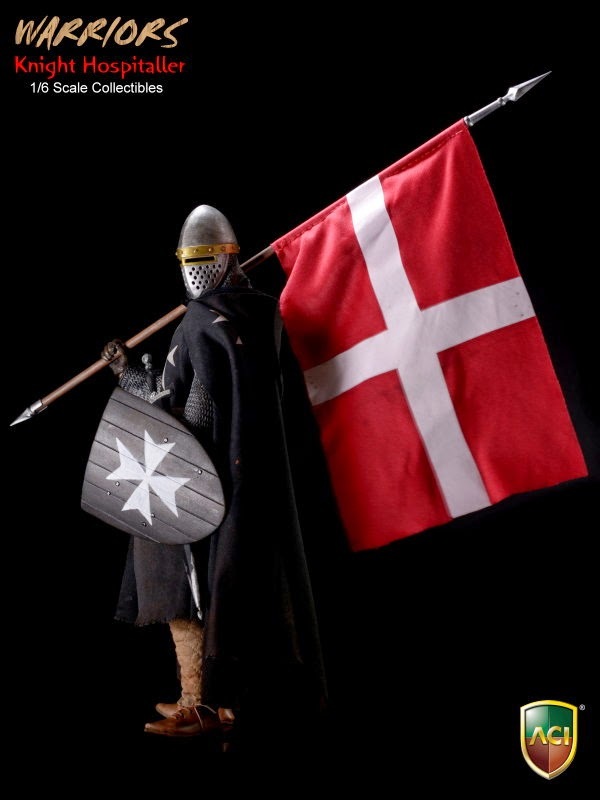 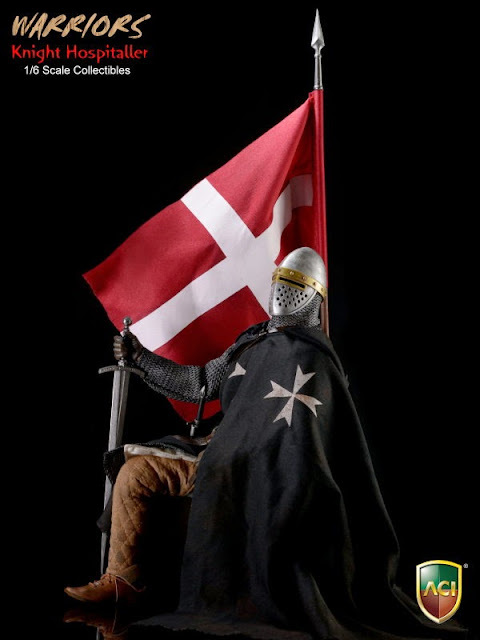 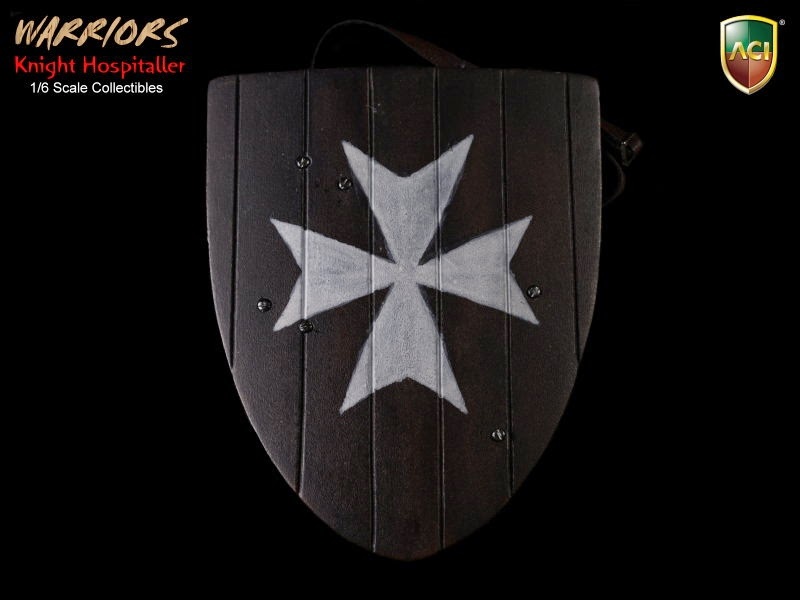 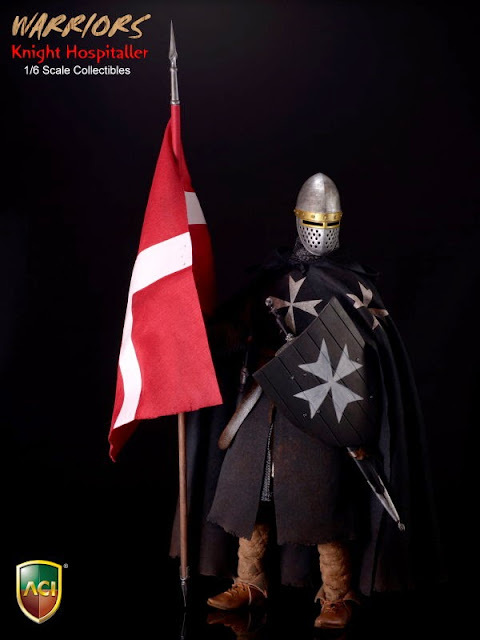 The Knights Hospitaller, also known as the Hospitallers, Order of Hospitallers, Knights of Saint John and Order of Saint John, were among the most famous of the Western Christian military orders during the Middle Ages. 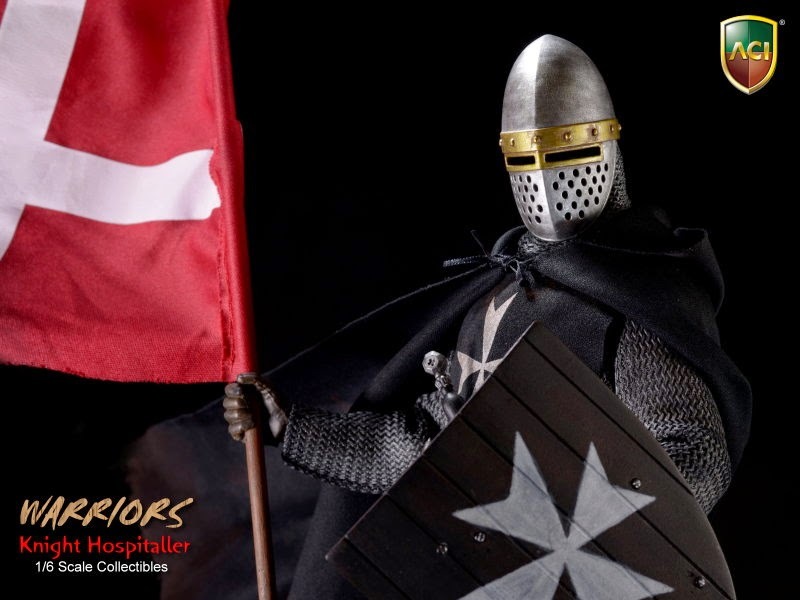 The Hospitallers probably arose as a group of individuals associated with an Amalfitan hospital in the Muristan district of Jerusalem, which was dedicated to St John the Baptist and founded around 1023 by Blessed Gerard Thom to provide care for poor, sick or injured pilgrims to the Holy Land. After the Latin Christian conquest of Jerusalem in 1099 during the First Crusade, the organisation became a religious and military order under its own Papal charter, and it was charged with the care and defence of the Holy Land. 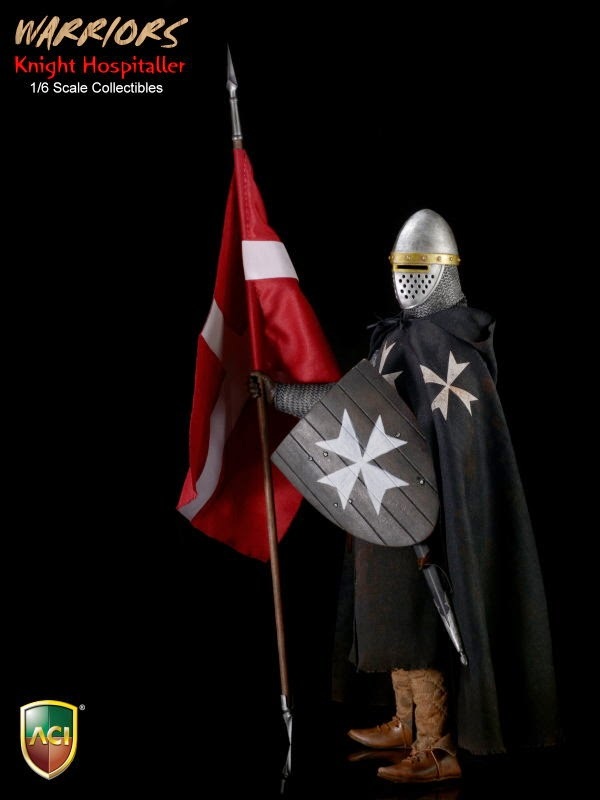 Following the conquest of the Holy Land by Islamic forces, the Order operated from Rhodes, over which it was sovereign, and later from Malta where it administered a vassal state under the Spanish viceroy of Sicily. 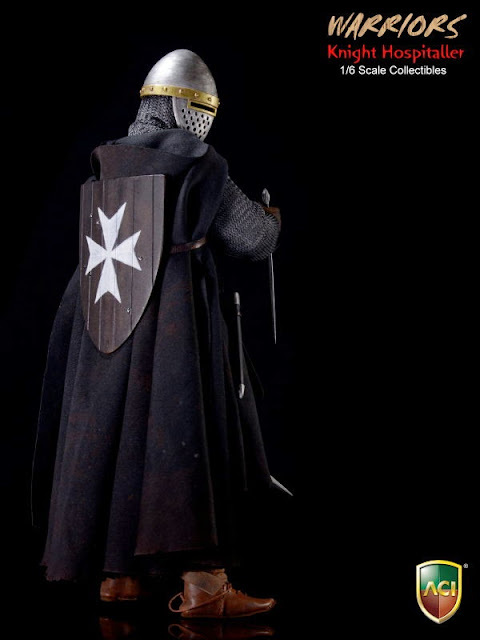 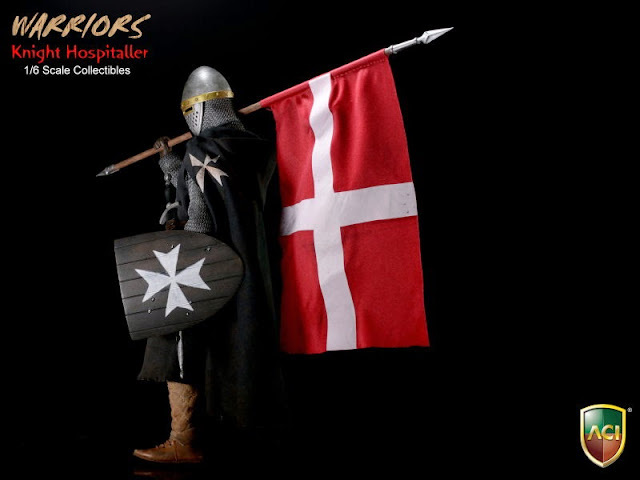 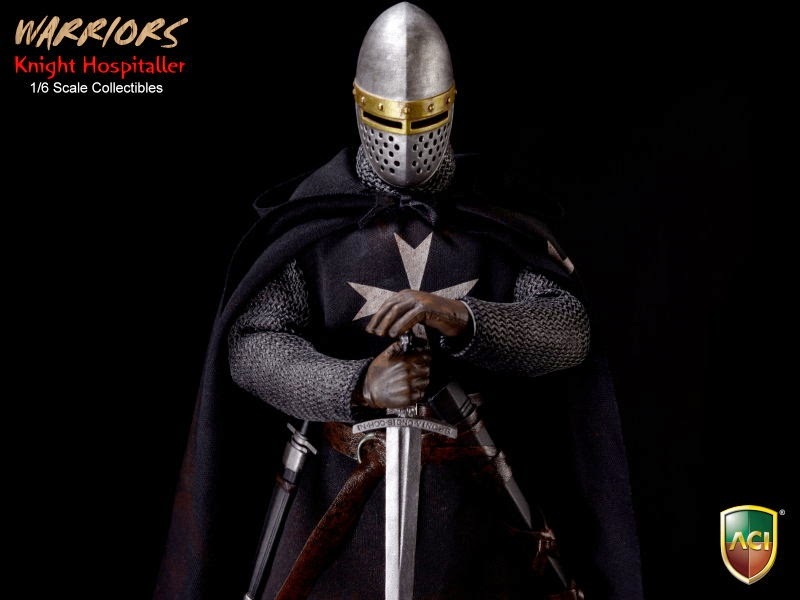 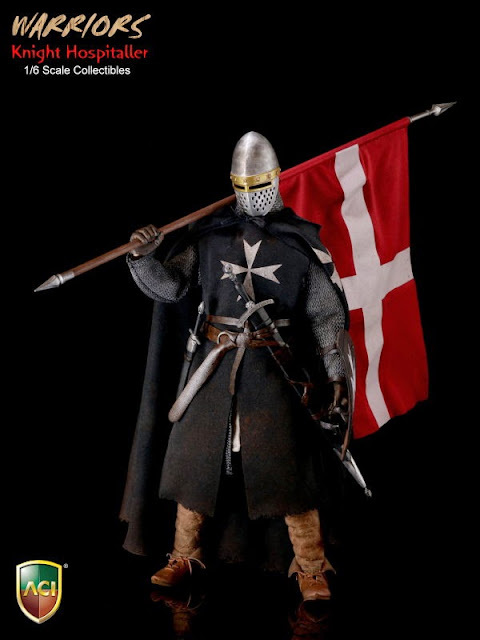 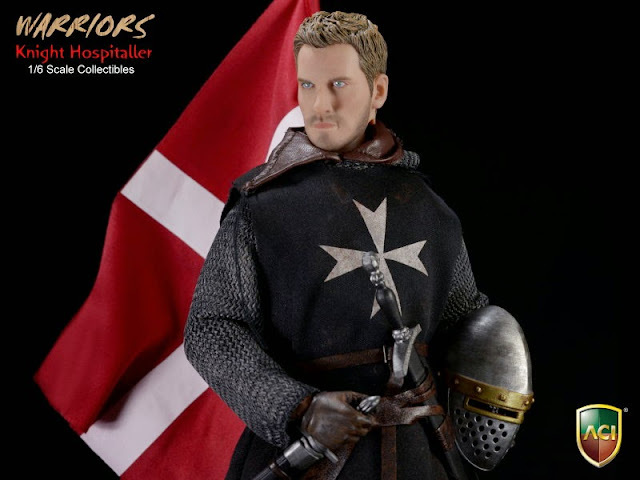 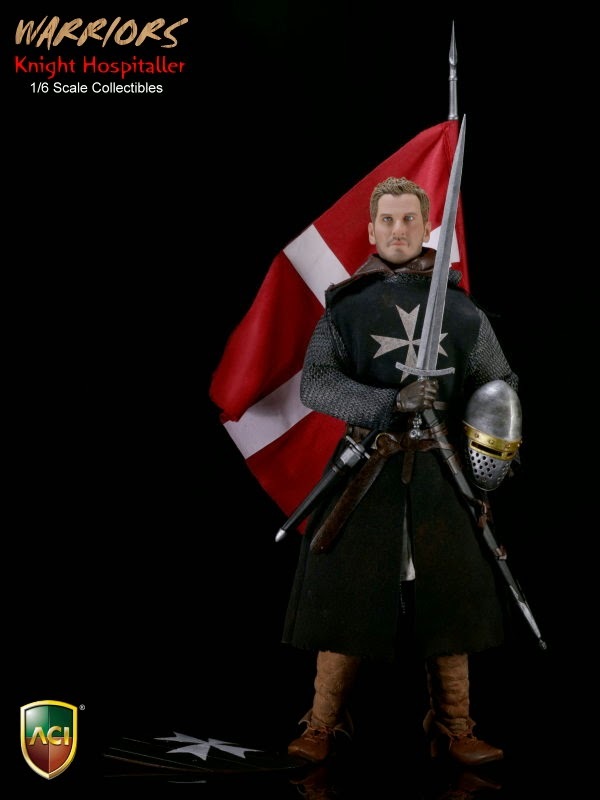 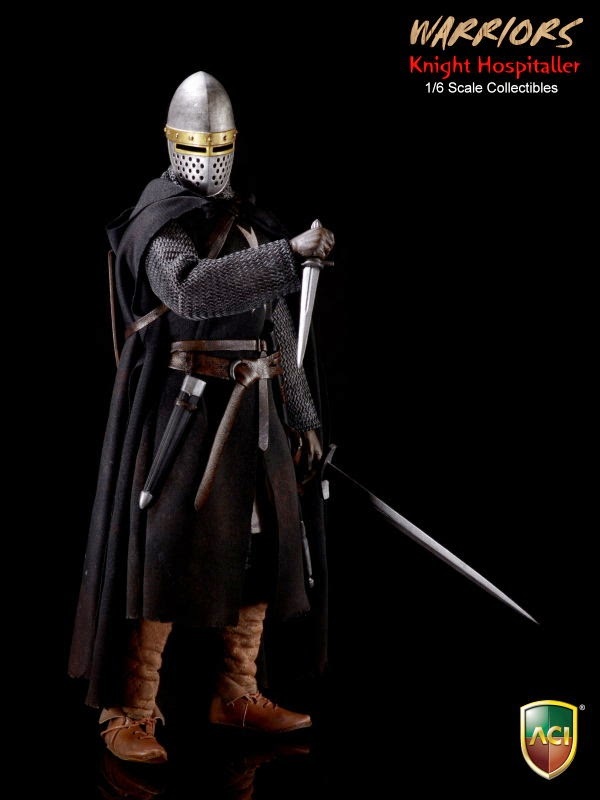 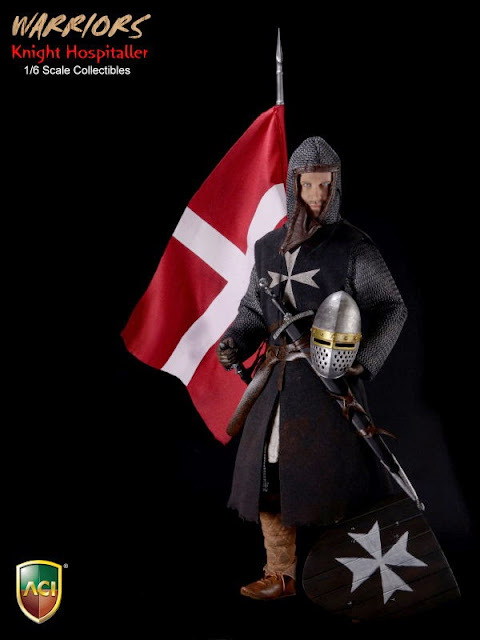 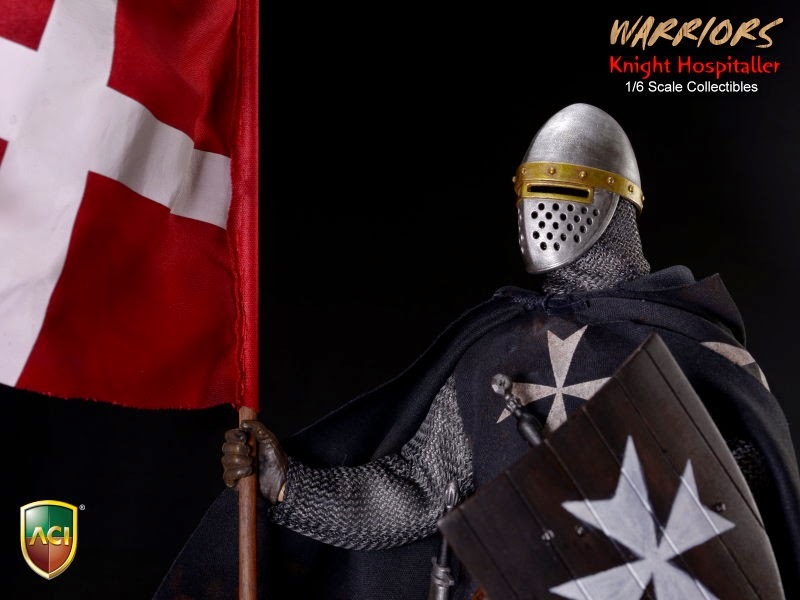 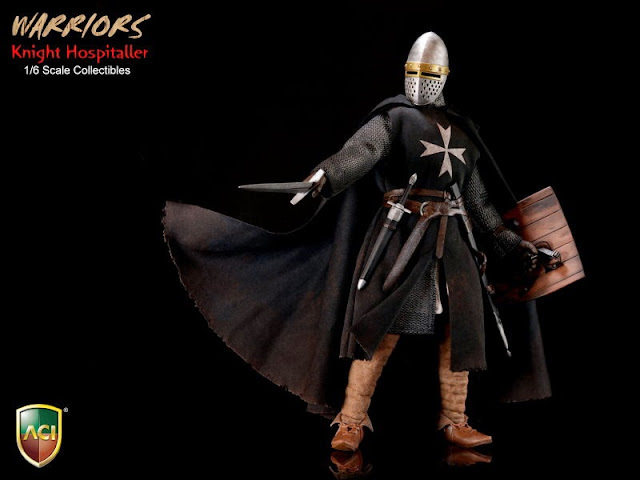 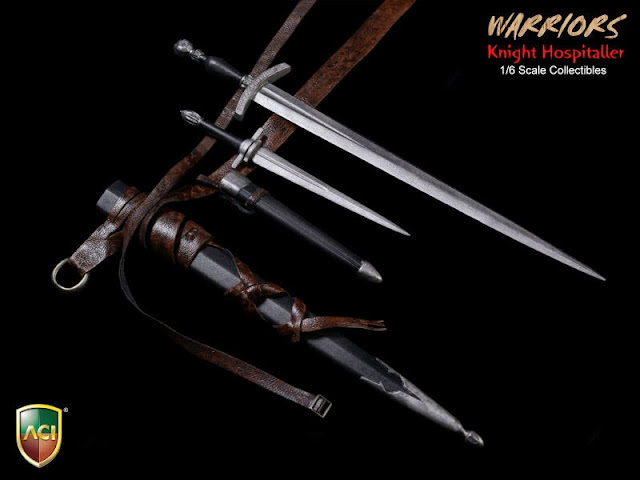 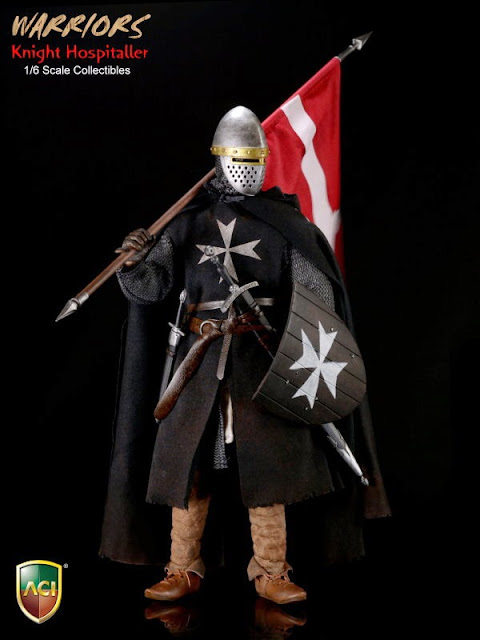 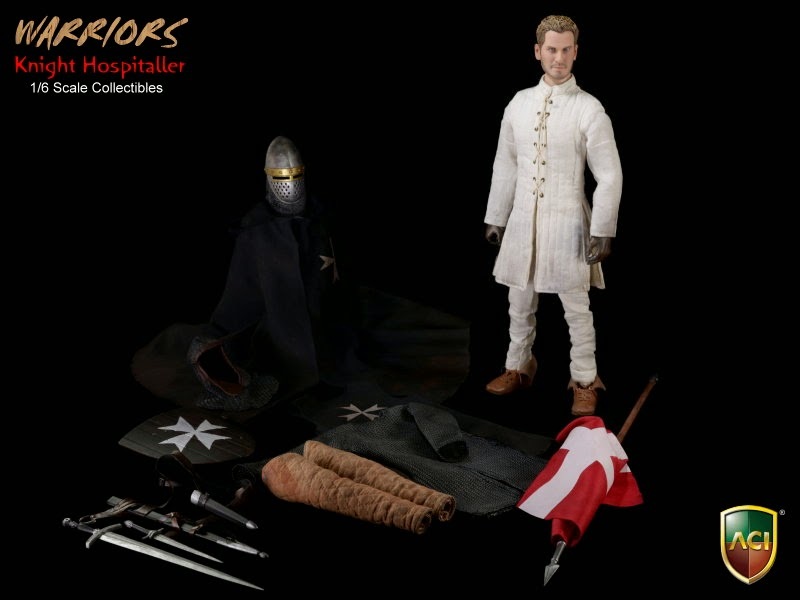 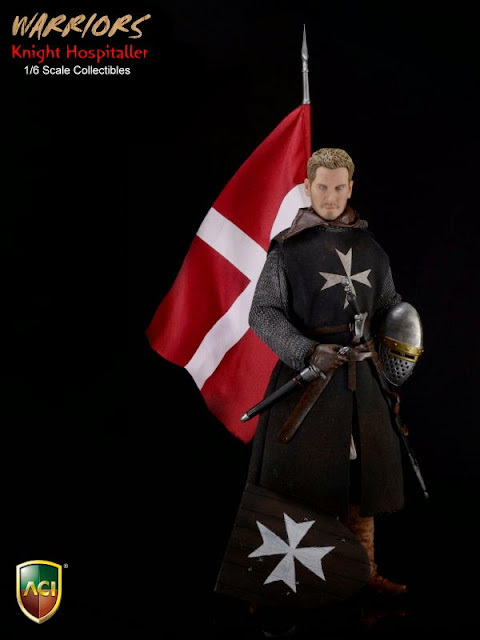 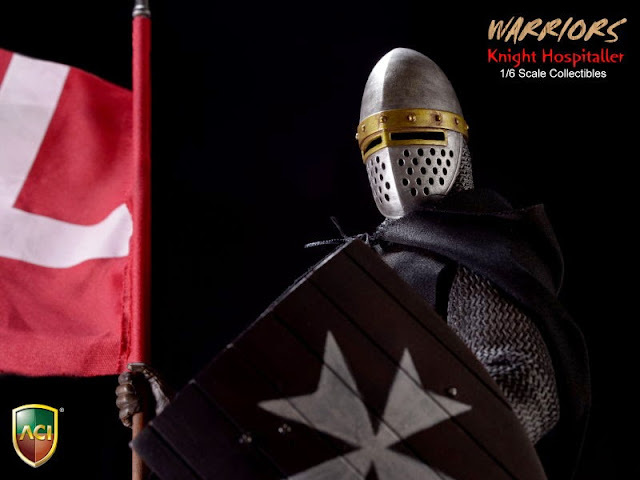 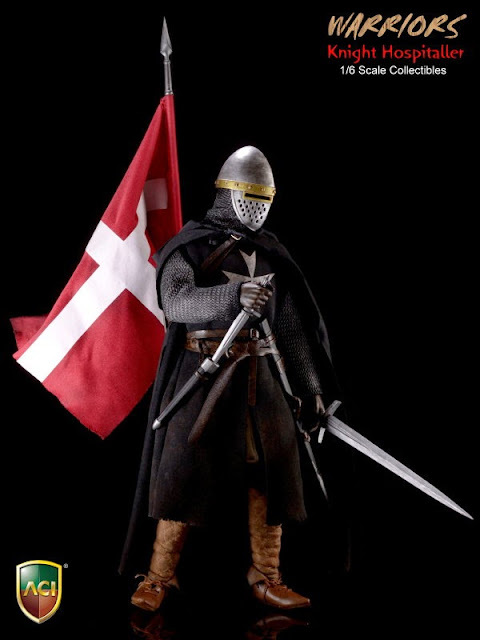 This upcoming release of the ACI Toys ACI-23 1/6 scale Medieval Knight Hospitaller Crusader 12-inch figure certainly looks very promising. 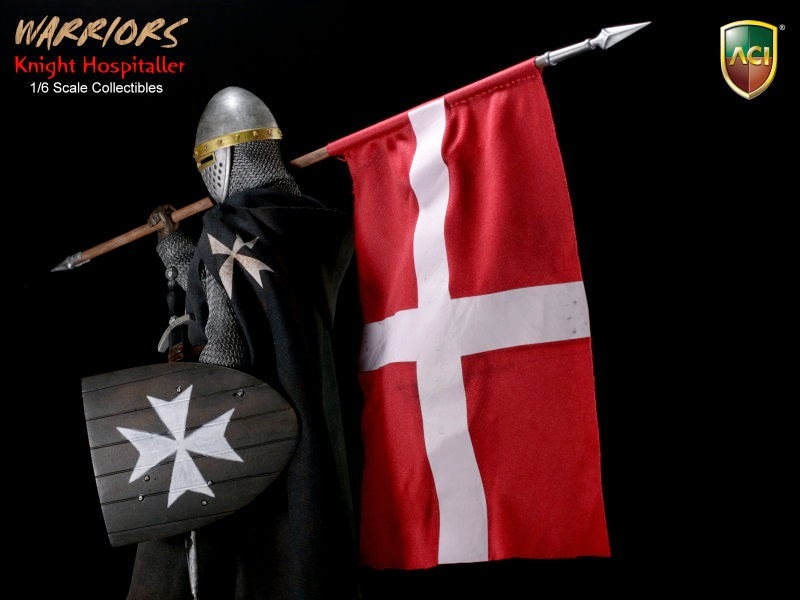 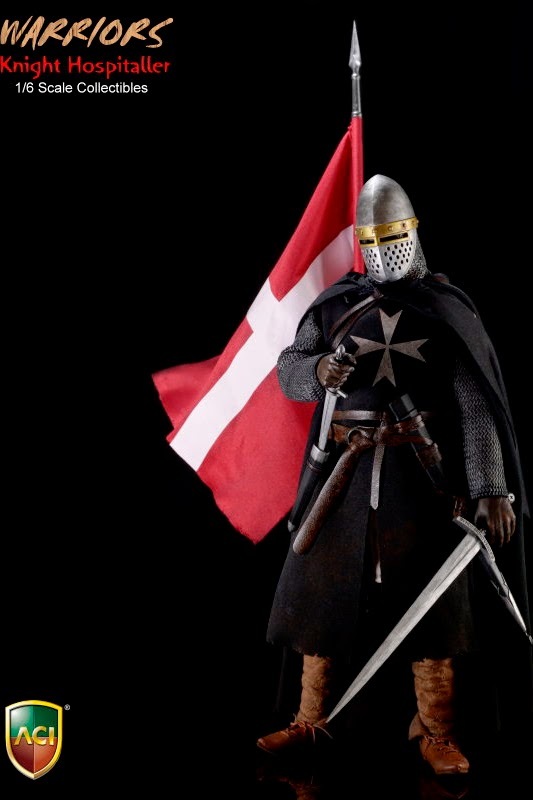 He has the Cross of the Knights Hospitaller and the Flag of the Order of Malta and does look very authentic in design and details. I recently posted an entry titled "Military kit through the ages" HERE which showed photos of everything a British soldier carried in the field from the 11th century (the Battle of Hastings was in 1066) right up to present day Helmand Province, 2014 but the Hospitallers were not featured.